ALL cadets and staff are to attend this COMPULSORY parade. Absences will only be authorised if given in writing by parents. The Squadron will be participating in two parades this Sunday. 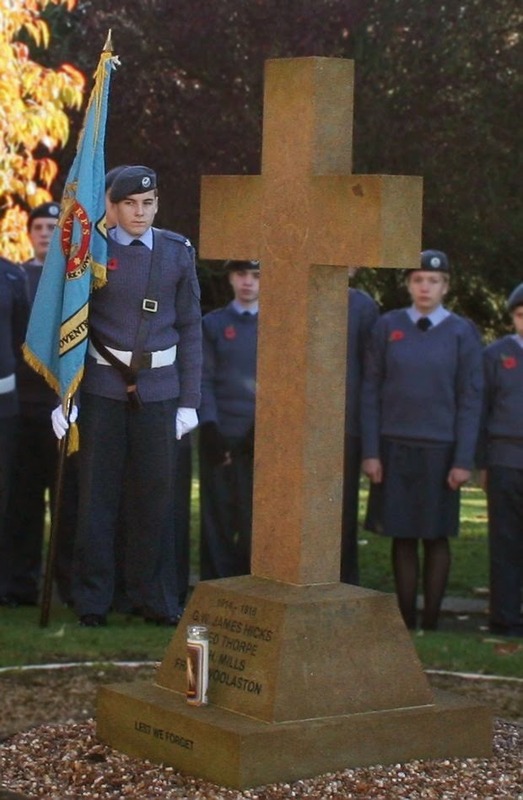 The majority of the Squadron will be taking part in the local service in Baginton village, but as there isn't enough room in the church for the whole squadron and the parishoners, a smaller contingent will join other local units for the civic parade in Coventry's War Memorial Park. BAGINTON - Everyone to be IN the squadron at 0915hrs. We shall finish back at the Sqn at 1230hrs (normal time). Parents are welcome to attend the church service at Baginton, but as parking is limited at the church cars should be left at the Squadron. COVENTRY - Mustering on Spencer Avenue (near Spencer Park), to arrive between 0930hrs and 0945hrs. You will be aware that road closures are in place for the parade, so routes to the muster point may be convoluted, and busy with other parents! The parade is expected to finish and disperse by 1200hrs. DRESS: Uniform is No2 (Wedgewood blue shirt, tie and jersey) for cadets, No1's for uniformed staff. WEAR WARM BASE LAYERS! Everyone is to bring their own poppy and church offering (fresh poppies are available at Sqn HQ).